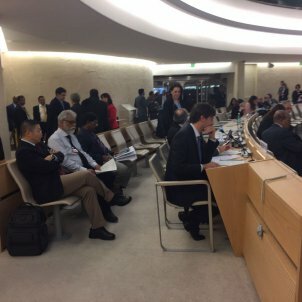 The speech by MEP Jordi Solé (ERC) before the UN Human Rights Council, in which he denounced the existence of political prisoners in Spain and the "dreadful and disproportionate violence" of the day of the independence referendum, outraged the Spanish representatives at the meeting. 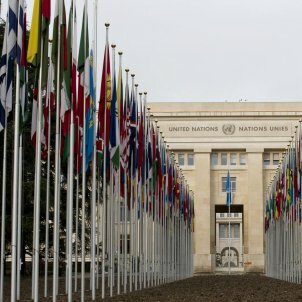 After the speech, Spain's deputy permanent representative to the UN in Geneva, Victorio Redondo replied that the Council isn't the appropriate forum for such "biased and purely political" statements, to achieve "exclusionary and illegal political" objectives. "It doesn't do the cause of human rights any favours if we allow these people to self-servingly manipulate [the facts] to argue illegal secessionist ideological positions or proposals," he said. He added that Spain is a democratic country and that its "legal powers are independent". 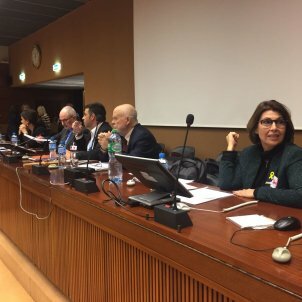 The MEP was given the speaking time assigned to one of the NGOs which has organised this week's events about Catalonia in Geneva. Because his name wasn't listed on the day's agenda, Spain's representatives to the Council weren't aware of who would be speaking until he started, ERC sources tell El Nacional. During Solé's speech, there were various representatives of Spain in the room, who appeared annoyed. After the speech, one of the representatives stood up and left the room to make a phone call. Spain later asked for the right to reply.